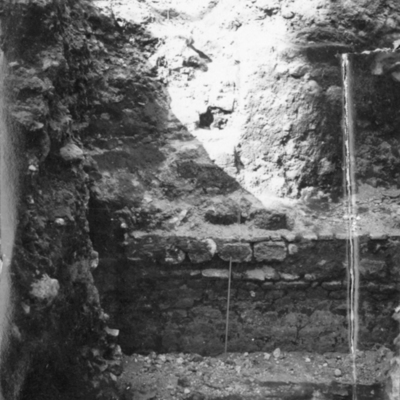 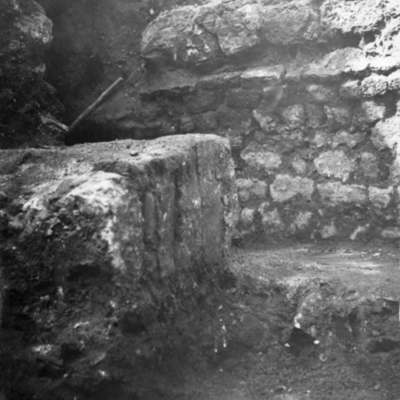 Aqueduct and late wall west side of trench. 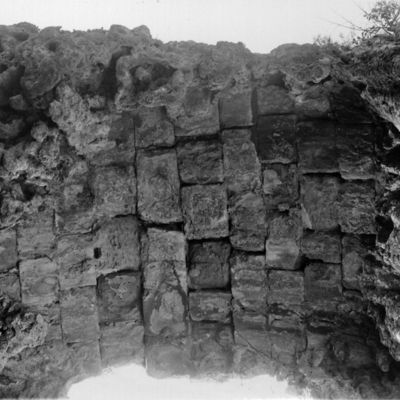 Detail of masonry on Aqueduct of Trajan. 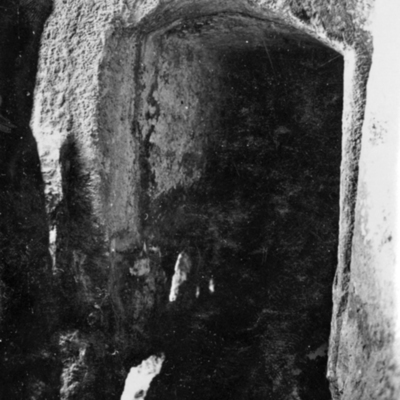 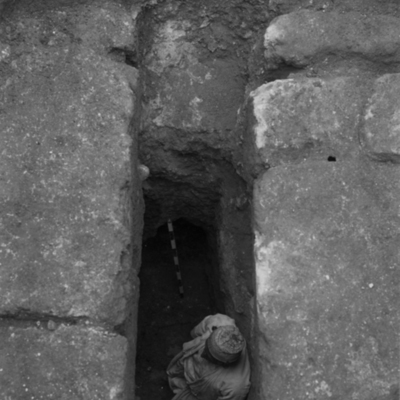 Detail of original vault construction. 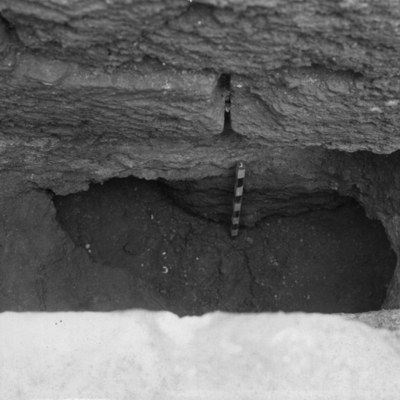 Close detail of original vault construction. 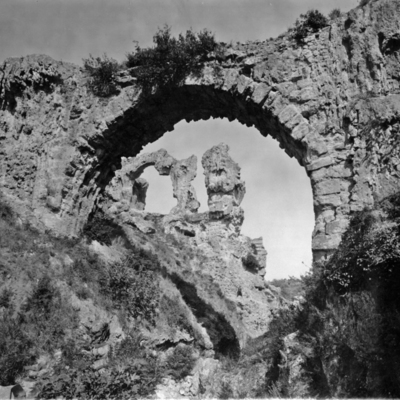 Detail of aqueduct after slicing through same. 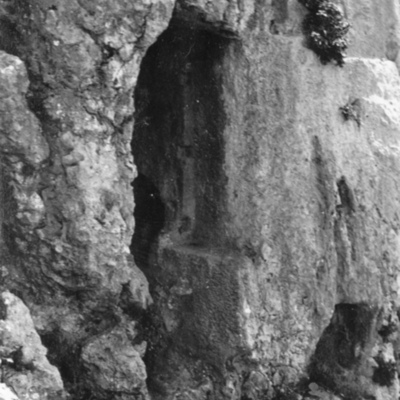 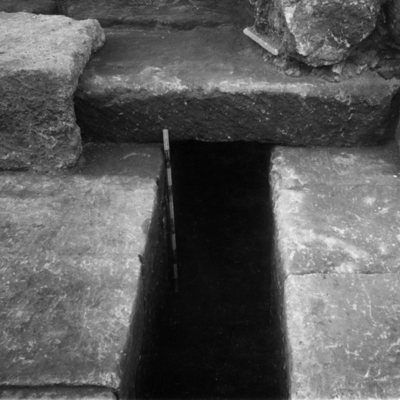 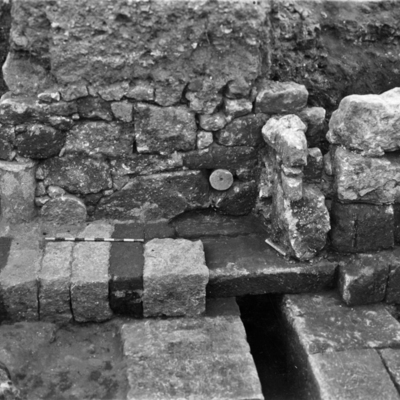 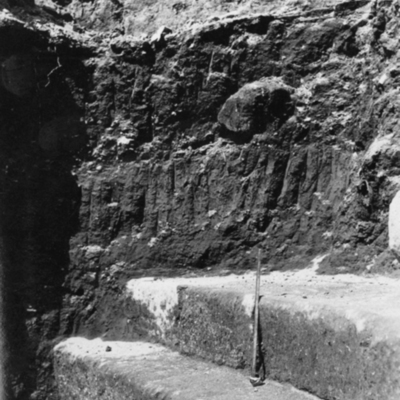 Detail of curbing showing relation to aqueduct. 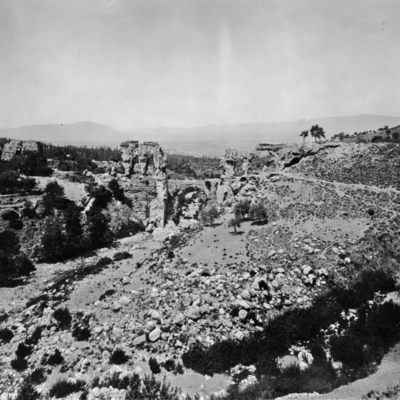 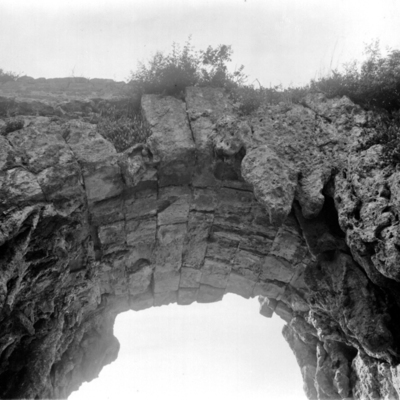 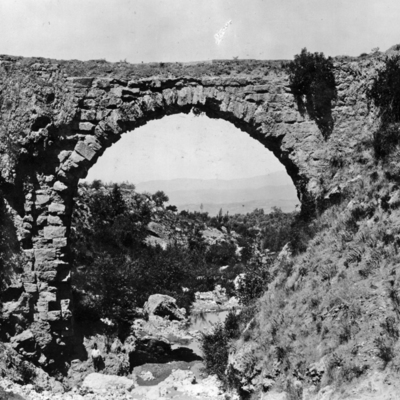 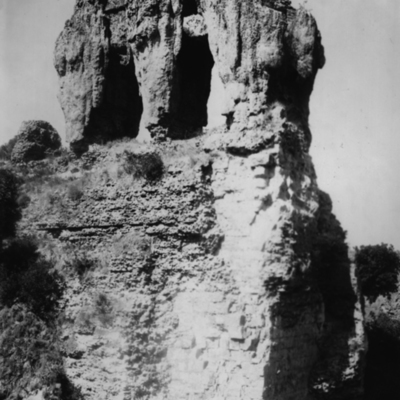 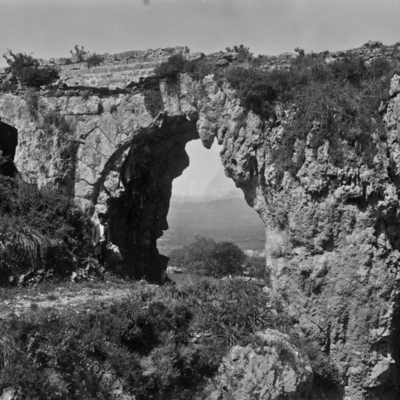 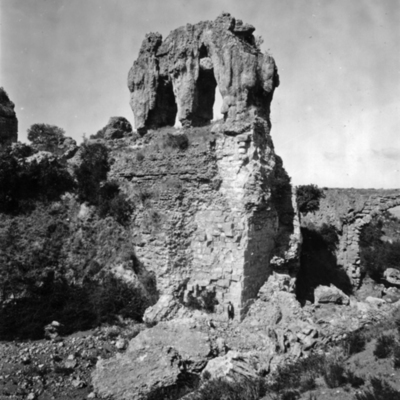 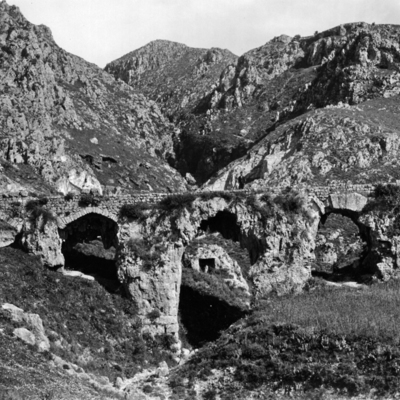 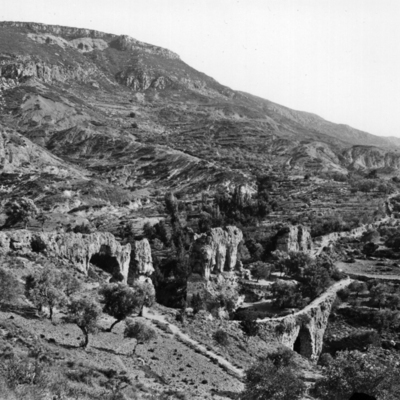 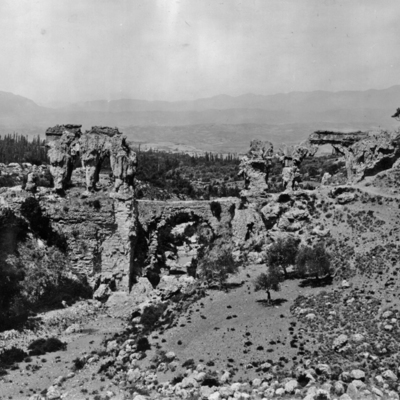 Entrance to aqueduct near Charonion.